Only ultra-high performance tyre in the MICHELIN® lineup to offer TriFusion™ - three different compounds bonded together on the tread face to provide a balance of all-weather performance. State-of-the-art directional tread pattern and wet-weather silica compound combine for extreme wet-weather control. First tyre with enhanced MaxTouch Construction™ to maximize the tyre’s contact with the road and evenly distribute the forces of acceleration, braking and cornering — delivering longer tread life without sacrifice. 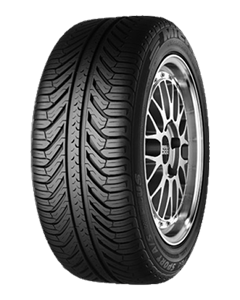 Sorry, we currently do not have any tyres with the Pilot Sport AS+ pattern in stock.